I work with Business Owners/CEOs & Entrepreneurs who feel alone with massive inefficiencies, bring order to chaos, get laser focused to create a plan for consistent cash flow & profit & have a life! 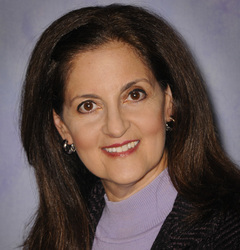 Donna J. Spina PCC, CPC, ELI-MP is a Business, Leadership, and Personal Growth Coach, Speaker, and Author. She is also the Founder of Coaching InDeed, a company whose mission is to empower her clients to identify (or re-Identify) the Leader within. Her creative coaching process incorporates workshops and the use of well-respected DiSC Behavioral and Energy Leadership Index Assessments. She assists entrepreneurs and Real Estate Investors make order from their internal and external chaos. Together they create strategic plans to evolve through Change and set forward moving, measurable goals. With accountability, Donna’s clients take action to achieve increased profitability, improve communication skills, and overall personal satisfaction. After being self-employed in a full service home improvement company that operated in two states for twelve years, she is well aware of the successes, setbacks, and work-life balance issues facing businesses owners and their key staff. Donna is credentialed via the International Coaching Federation (ICF), the global organization governing the profession after attending an extensive, well recognized coach training school, Institute of Professional Excellence in Coaching (IPEC). She sat on the Board of Directors for the local ICF Philadelphia chartered chapter. She is also the Past President of the National Association of Professional Women (NAPW), Chester County, PA Chapter. With her educational background in Biology and Nutrition, Donna expresses her lifelong appreciation for the Mind-Body-Spirit connection as a Yoga and Pilates Instructor focusing on wellness and physical fitness for a healthy integration of Work and Life. Have you worked with Donna? Tell your friends! “A lot of coaches I considered came to coaching after working in social work or therapeutic fields. Donna is different. She's been a business owner and leader. She's coaching you from actually having been in the driver's seat. This means her assessment of your situation and her recommendations come from a wisdom that can only be gained through experience. Donna speaks the language of the small business owner. I had a big project that had no deadline, but was important to the future of my company. I had been working on it for over a year. Donna sensed the importance of this project and bumped it to the top of the priority list, even though it didn't seem "urgent." We laid out a game plan. Within a month of working with Donna, I completed the project. That alone was worth her fee. Donna is an exceptionally dedicated and passionate person. She has the interesting combination of administrative/analytic skill combined with a warm and engaging people skill. As the CFO of Keller Williams Real Estate, Donna had a tremendous amount of responsibility presiding over the Profit & Loss and business operations for an office of about 200 agents. She managed this responsibility keenly and proficiently; all the while garnering the team’s respect and admiration for her genuine interest and concern for the people around her. Donna is one in a million. Donna is the master of multi task with precision focus. When I was with Keller Williams Realty, she managed 180 agents, the Owners and Broker, was responsible for the company accounting and the operations of a very busy office and did it all with such grace and professionalism. Donna is an excellent mentor to people new to the business and to those that need coaching. Her personal and business experiences have prepared her to be an excellent business coach. As a business partner and coach, Donna is second to none! Her insights and experience are invaluable toward our/my progression forward in business. She is highly recommended and her credentials speak for themselves. I give her full credit for continued success! Thanks so much for all the time and effort you put into our coaching sessions. I got alot out of it on many different levels, not the least of which was the help you gave me to prioritize the things that matter most to me and to get things done!" "Donna Spina has a real talent for helping her coaching clients identify problem areas in their lives, places where they feel "stuck," and guiding them gently but firmly toward a solution. Her questions and exercises help to clarify the client’s focus and give them a clear path to follow to their goal. Along the way, Donna helps you navigate the path, identifying obstacles and recurrent themes, helping you build your confidence and self-awareness. She encourages trust in the coaching situation and ensures confidentiality, which creates a safe place to explore your personal landscape. The value that Donna's coaching students receive include: Perspective, Confidence, Clear Direction, Goal Setting Skills, Persistence, and Focus." Words cannot express the gratitude and appreciation that I feel for Donna Spina and for all that she has done for me in such a short period of time. I knew from our initial phone conversation that she was the one for me and that my search for a business coach was complete. I could hear the compassion, caring and dedication in her voice. In addition, I could hear confidence and gentle reassurance that she could guide me towards the life that I had always been seeking for myself. Even after only a couple of months working together, I could see massive changes in not only the way that I viewed the world, but – even perhaps more importantly – with how I viewed myself. Donna is selfless, so giving of herself and truly wants to cause breakthroughs for her clients so that they can soar! Donna is always there with encouraging words and eagerly celebrates your WINS with you. For the first time in my life, I can really see the bigger picture. I feel such excitement and eagerness for the future and the many possibilities that it brings. I know that whatever the future holds, I will be ready to welcome it with open arms thanks to Donna and her excellent coaching. The Art of Reframing, a helpful skill in life, means looking at a comment, situation, or event from different angles before rushing to a conclusion. “Are Your Painful Experiences Stumbling Blocks or Stepping Stones?” How do they hinder or help you at home or at work? Who are you now as a result?